All our activity, thinking, and feeling depends upon the condition of the nervous system. When we feel rested and fresh, all activity seems to be easier and more creative, while on days when we are strained, this tired mood is expressed in everything we do. The surface condition of tiredness we call fatigue; the deeper aspect of tiredness may be called stress. Transcendental Meditation provides profound physiological rest and normalization of the nervous system. Anyone can achieve freedom from fatigue and deep stress through the practice of Transcendental Meditation. Research in the field of physiology has shown that mental activity has a corresponding physiological activity. The mind is directly connected with the physical nervous system. Every state of consciousness has its own corresponding state of physiology. From this it is clear why, when during Transcendental Meditation mental activity becomes finer, physical activity also becomes finer and metabolic rate drops—the physical system receives deep rest. Thus deep-rooted stresses are naturally dissolved. Removal of tensions through the Transcendental Meditation Technique removes the very cause of psychosomatic diseases, which arise from worries, anxiety, failures, and disappointments in life. Transcendental Meditation improves both the functioning of the physical nervous system and its coordination with the mind. Energy and efficiency in action increase, so that one is able to accomplish more without becoming unduly tired. This increased coordination between mind and body is beneficial to physical and mental health. Transcendental Meditation produces a revitalizing and rejuvenating influence in the body. This rejuvenating influence led researchers in the field of ageing to find that those practicing Transcendental Meditation for five years or longer had a biological age twelve years younger than the population norms. The influence of collective health has a direct influence on the health of the individual. Up to now, there has been no knowledge and program to maintain the good health of the community or the nation; there has been no way to neutralize the stress and strain in society that affects the collective health of the nation. The Maharishi Effect, produced by collective practice of Maharishi’s Transcendental Meditation and TM-Siddhi Program including Yogic Flying, is the most effective means for the prevention and cure of collective ill health. Without this knowledge and these programs health care will never be complete. A society composed entirely of healthy individuals must necessarily function as a healthy society. By dissolving stress day by day, Transcendental Meditation is a means to create stress-free, healthy individuals, and is therefore a powerful means of prevention on one side, and promotion of better health on the other side. The discovery of the Veda and Vedic Literature in the human physiology has substantiated the effect of Transcendental Meditation for prevention and for the enhancement of better health. Maharishi’s Vedic Approach to Health applies the recent discovery of a precise one-to-one correspondence between the forty structuring dynamics of Natural Law expressed in the Veda and Vedic Literature and the forty structures and functions of the human physiology to enliven integration, vitality, balance, and to promote perfect health and prevent disease. Maharishi’s prevention-oriented Vedic Approach to Health is holistic and most basic; that is why it is free from harmful side effects. It maintains balance between the body and its own inner intelligence and between the inner intelligence of the individual, the collective intelligence of society, and the Cosmic Intelligence of the universe. Health means WHOLENESS. The perfect approach to health requires caring for the whole and parts at the same time—balance between consciousness and its expression, the physiology. Maharishi’s Vedic Approach to Health utilizes self-pulse reading, which is the only means for proper diagnosis of the whole and its relation to the parts. Self-pulse reading and Maharishi’s Transcendental Meditation Technique create a balancing influence between the whole (consciousness) and the parts (physiology). Through the simple procedure of self-pulse reading, one can detect imbalances developing in the physiology in order to prevent disease through timely adjustment of diet and behaviour. Detecting imbalances by self-pulse reading, and adjusting diet and daily and seasonal routines through Maharishi’s Vedic Approach to Health, will allow one to correct imbalances before disease arises. Maharishi’s Vedic Technology for Perfect Health is basically prevention-oriented; and whenever treatment for a specific sickness is required, this Vedic Health Care System approaches the most fundamental level of physiology, which is the level of the inner intelligence of the body—the very basis of all physiological structures and functions in the whole system. Everyone’s physiology is the expression of intelligence. The inner intelligence of the body, impulses of intelligence—holistic and specific structures of intelligence, or consciousness, that blossom into different structures of physiology—have been identified by Professor Tony Nader, MD, PhD, in the Vedic Literature. All the forty areas of human physiology have been identified with all the forty areas of intelligence, which are available as the reverberations of sound in the Vedic Literature: there is a one-to-one relationship between the structure and function of the Veda and Vedic Literature and the structure and function of the human physiology. 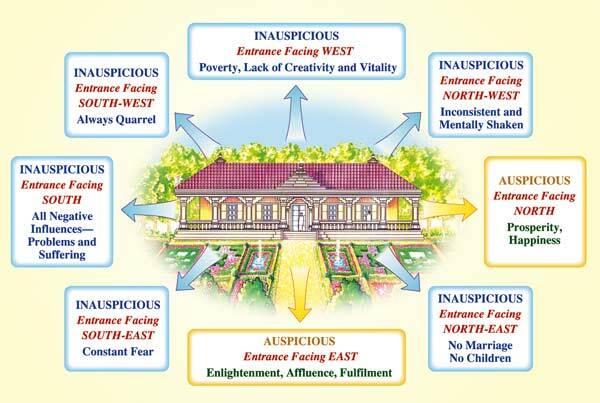 This knowledge presents the principles underlying Maharishi’s Vedic Technology for Instant Cure. It is striking how quickly and effortlessly Maharishi’s Vedic Technology for Instant Cure is able to transform a state of physiological disorder into a state of orderly physiological functioning. The scientific explanation of such a sudden transformation of disorder into order can be derived from recent findings of the Theories of Self-Organization and of Chaos Theory. These theories have developed very rapidly within the last few decades and have led to extremely important scientific insights regarding the functioning of dynamic self-organizing systems, including the functioning of our physiology. One of the most important findings of Chaos Theory and of the Theories of Self-Organization is the principle that a tender impulse can transform chaos, or disorder, into order. This has been mathematically well studied for example for autocatalytic cyclic reaction chains, whose dynamic patterns easily shift from chaos to order if one slightly varies specific control parameters. This finding closely relates to the famous ‘Butterfly Effect’ of Chaos Theory. Maharishi’s Vedic Technology for Instant Cure utilizes this principle that a tender impulse can transform disorder into order. Through a tender impulse it transforms pain into a feeling of pleasantness—it transforms abnormality into normal physiological functioning. This is the key technology to restore a state of health. This shows that Maharishi’s Vedic Technology for Instant Cure utilizes an extremely sensitive and powerful procedure, and the experts who practice this method of instantaneously restoring health have undergone a proper, systematic, and profound training. They are trained to operate from the most fundamental level of Nature’s functioning—the Unified Field of all the Laws of Nature—which has been recently discovered by Unified Quantum Field Theory of Physics. Through their ability to operate at the fundamental level of the Unified Field of Natural Law, the experts of Maharishi’s Vedic Technology for Instant Cure enliven the holistic qualities of the Unified Field of Natural Law in the human physiology and thereby guarantee that the effects are always holistic and conducive to the balanced functioning of the whole physiology. Whereas the forty aspects of Veda and Vedic Literature have been found to be the source of every aspect of the human physiology, different aspects of these forty have been found to have their counterparts in the structure of the Cosmic Physiology—in the structure of the galactic universe and the solar system. 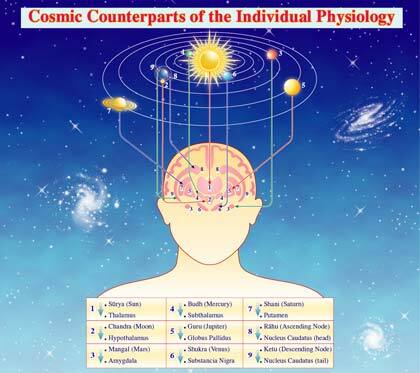 The Cosmic Counterparts of the individual physiology have their direct influence on the individual physiology, mind, and behaviour, and influence every aspect of health, all the time, around the clock, day after day, season after season, and year after year. The cardinal rule of Vedic Health requires that the connectedness of individual life with Cosmic Life must be properly maintained. Any degree of non-alignment of individual life with its counterparts in Cosmic Life is the basic cause of discomfort, disease, and suffering. This knowledge of the reality of individual intelligence and physiology in the perspective of Cosmic Intelligence and Cosmic Physiology has been brought to light from the ancient Vedic Literature by Maharishi. The basic point of knowledge is that the physiology of the individual has been discovered to have its counterparts in the physiology of our solar system. Human physiology has a sun, a moon, planets, and stars in exactly the same way as the sun, moon, planets, and stars are existing in the sky. On the basis of this reality of individual life being essentially Cosmic in nature, Vedic Knowledge brings to light the procedures and programs whereby a healthy relationship can be maintained between all values of individual life and Cosmic Life. No one can ever be always completely healthy unless this missing knowledge is introduced in health education, and unless programs are made available to rectify or neutralize the negative influences that come on the individual from outside, and enhance those influences that are positive. Maharishi’s Vedic Approach to Health, using the forty areas of Maharishi’s Vedic Science and Technology, offers this missing knowledge in terms of Yagya—the Vedic Technology of Consciousness—which restores the balanced relationship between the individual and his Cosmic Counterparts and renders all values of his intellect, mind, senses, body, and behaviour in accord with the evolutionary power of Natural Law. Sthapatya Veda is one of the forty areas of the Vedic Literature that details the laws of structuring, or laws of building, any structure so that structurally and functionally man’s creation is naturally in harmony with Nature’s creation—the creation of Natural Law. This Vedic Science of Structuring, or Vedic Science of Building, which is Nature’s own system of structuring, or building, can be seen as the system of harmonizing individual life with Cosmic Life. Every humanly designed, man-made structure should conform to the Natural Laws of structuring if that structure is to be in harmony with the structure of the universe—the expression of Cosmic Intelligence. The science of Vedic Architecture is not a matter of belief or faith; it is as concrete as the burning nature of fire, and the cooling nature of ice. ‘People do not generally know that the orientation (north, south, east, west) of residential and office buildings contributes a great deal to success and progress in professional life; and to health, happiness, and fortune on the individual level. A study conducted at Sumitomo Heavy Industries by the Japanese National Institute of Industrial Health found significant improvements in physical and mental health in workers who practiced Transcendental Meditation. Reference: Japanese Journal of Industrial Health 32(7) (1990): 656. A study of health insurance statistics on over 2,000 people practicing Maharishi’s Transcendental Meditation and TM-Siddhi Program over a five-year period found that participants required much less medical treatment in all 16 major disease categories. Reference: Psychosomatic Medicine 49(1) (1987): 493–507. Individuals who were randomly assigned to learn Maharishi’s Transcendental Meditation reported increased energy levels over a fourteen-week period, in comparison to controls. Energy level was defined as the ability to perform many tasks without feeling fatigued. Reference: Dissertation Abstracts International 38(7) (1978): 3372B. Individuals who learnt Maharishi’s Transcendental Meditation Program showed significant improvements, over a three-month period, in comparison to controls in overall physical health, mental well-being, vitality, and sleep quality. They also showed reduced health problems and reduced alcohol and cigarette consumption. Reference: Anxiety, Stress, and Coping: An International Journal 6 (1993): 245–262. People practicing Transcendental Meditation for longer than five years showed a biological age 12 years younger than their actual age—significantly different from short-term meditators and non-meditating controls. These results indicate the development of health and the promotion of longevity through Maharishi’s Transcendental Meditation Program. Reference: International Journal of Neuroscience 16 (1982): 53–58. Subjects who participate in Maharishi Ayurveda health programs showed significant improvements on a number of general health measures as compared to controls. Reference: Journal of Social Behavior and Personality 5(3) (1990)1–27. Twenty-four cities in which one per cent of the population had been instructed in the Transcendental Meditation Program displayed significant decreases in crime rate during the next year and decreased crime rate trend during the subsequent five years. Reference: Journal of Crime and Justice 4 (1981): 25–45. During the period 1979–1986, the number of participants in Maharishi’s Transcendental Meditation and TM-Siddhi Program at Maharishi International University in the U.S. frequently exceeded the required amount to create the Maharishi Effect for the U.S. During those months, the U.S. actions towards the Soviet Union became more positive, as indicated by time series analysis of an independent data bank. When the number of TM-Siddhi participants was at its highest level, the Soviet actions towards the U.S. also improved. Reference: Proceedings of the American Statistical Association, Social Statistics Section (August 1990): 297–302. Psychotherapie • Psychosomatik Medizinische Psychology 32(6) (1982): 188–192; The New Zealand Family Physician 9 (1982): 62–65; Japanese Journal of Public Health 37(10) (1990): 729. The American Journal of Managed Care 3 (1997): 135–144. Psychosomatic Medicine 44(2) (1982): 133–153, and 46(3) (1984): 267–276; International Journal of Neuroscience 14 (1981): 147–151. Improved Health of the Cardiovascular System Journal of Human Stress 5(4) (1979): 24–27; Journal of Personality and Social Psychology 57(6) (1989): 950–964; Hypertension 26(5) (1995): 820–827, and 28 (1996): 228–237. Psychosomatic Medicine 35 (1973): 341–349; Experimental Neurology 79 (1983): 77–86. Clinical Research 21 (1973): 278 (Abstract); Respiration 32 (1975): 74–80; Respiratory Therapy: The Journal of Inhalation Technologyy 3 (1973): 79–80. Psychosomatic Medicine 48 (1986): 59–65; Physiology and Behavior 40 (1987): 603–606, and 35 (1985): 591–595. Journal of the American Society of Psychosomatic Dentistry and Medicine 26(1) (1979): 8–12. Journal of Counseling and Development 64 (1985): 212–215; Dissertation Abstracts International 45(10) (1985): 3206B. Journal of Personality and Social Psychology 57(6) (1989): 950–964. Journal of Conflict Resolution 32 (1988): 776–812.